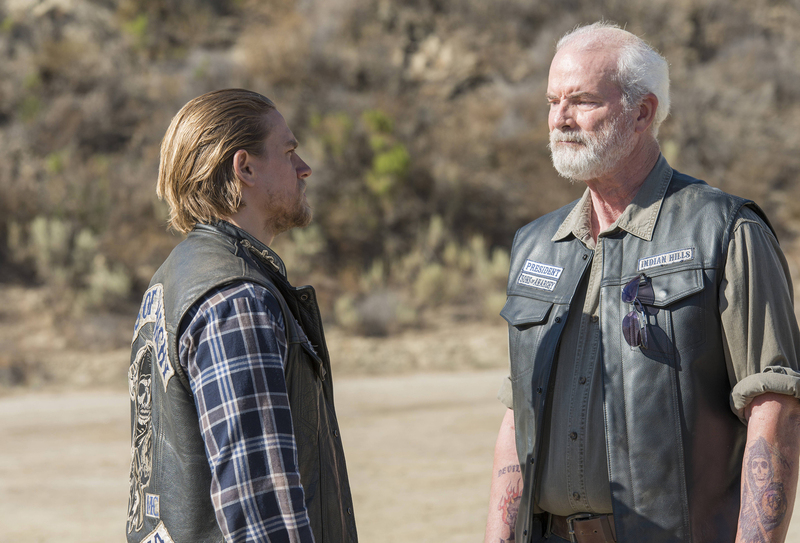 In these past two weeks, the stakes have really been raised for Jax and the rest of SAMCRO on Sons of Anarchy, but unfortunately there have also been some pretty big consequences for the club. Last week, with Juice finally in Jax’s hands, I thought for sure that we would be getting our first devastating kill of the season. However, I was shocked as I watched Jax hand Juice back his cut, showing that rather than killing him for his betrayal, Jax has decided to give him another chance. 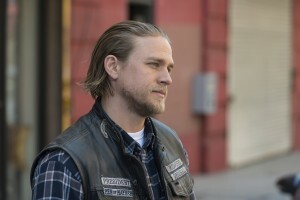 Jax plans to make Juice prove his loyalty by getting himself sent to jail, where he will then take out Lin. Another big reveal in last week’s episode happened in a moment where Gemma admitted to Thomas what she did to his Mommy, calling it an “accident.” I think it is pretty awful that Gemma still doesn’t understand how maliciously she acted on the night that she killed Tara. Somehow she still sees herself as a victim in this situation. Every single bad thing that has happened so far this season is ultimately Gemma’s fault, and she does not seem to understand or even acknowledge this fact. What made this scene especially important was the fact that the audience sees that Abel is listening to Gemma’s confession. For the first time this season, someone other than Juice and Gemma knows how Tara died, but my biggest question now is does he really understand what he is hearing? In tonight’s episode we get the confirmation that he does, in fact, understand that he heard Gemma confess. After getting in another fight at school, Abel declares, “It was an accident.” Gemma then asks Abel, “Do you understand what an accident is?” to which Abel responds by asking, “Do you?” Clearly Abel understood Gemma’s confession last week to some degree, but now the question is what will he do with this information? In both this week and last week’s episodes, the focus shifted from Jax and Lin’s confrontation regarding Tara’s death and moved on to the conflict between Jax and Marks. Marks appears to be a much bigger foe than Lin ever was (especially since we all know that Lin didn’t even have anything to do with Tara’s death). It isn’t often that we see Jax surprised by anything, but when Marks retaliated to Jax’s blackmail threat by capturing Bobby and sending the club package containing one of Bobby’s eyes, he was definitely caught off guard. Every week it seems like the consequences to Jax’s moves in the beginning of the season are just getting worse and worse. Everyone knows that in order to get to Jax all they have to do is hurt one of the many people he loves. Jax has so much to lose and Marks has nothing, and this is going to make it difficult for Jax to find a way to get to him. But, I believe that it could also be said that because Jax has so much to lose, he will ultimately find a way to get the best of Marks. Unfortunately, poor Bobby may not make it that far. In tonight’s episode, Jax made a move that may come back to haunt him before the season’s end. SAMCRO learns that Jury, the president of the Indian Hills chapter, is most likely the rat who gave the location of the guns to Lin. When Jax confronts “Uncle Jury,” who was good friends with his father, Jury denies it, saying that he wanted Jax dead, but that he would never rat. Jury then tells Jax that he believes that his father might have actually killed himself. Jax is understandably angry at this accusation, and his anger only increases when Jury tells him, “It doesn’t matter as long as he ain’t here to see what SAMCRO did to you.” Jax hits Jury, who then reaches to point his gun at Jax, who then shoots him in the head. Jury’s vice president is angry at Jax’s quickness to kill Jury, but Jax tells everyone that Jury had admitted that he was the rat. Jax lies because he knows that this move could tear apart the Sons of Anarchy, but what will he do if it is later revealed that Jury wasn’t the rat? As we have seen, the beginning of the season was devoted to Jax and his revenge against Lin. It looks like the next few episodes will consist of Jax and his crew dealing with Marks, and then the final few episodes will see Gemma’s secret finally being revealed and what Jax will do about that truth. That’s my guess at least. Let us know in the comments how you think the rest of the season will go! Next ArticleTV Review: The Flash (1x04) - "Going Rogue"